What does a music studio owner do? Would you make a good music studio owner? Take our career test to find out how you match with this and over 800 other careers. What is a Music Studio Owner? A music studio owner is someone who owns an establishment where recording artists come to record their music. 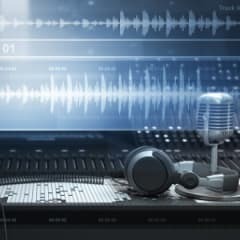 The studio owner needs to have all the equipment necessary for the whole process of recording, from the beginning performance to the final edits. The studio needs to be welcoming and comfortable, and the studio owner needs to have excellent customer service skills. He or she must also have extensive knowledge of the music industry, have the ability to negotiate, give musical advice when needed and know the ins and outs of sound equipment and audio engineering. Business depends on word of mouth referrals, so it is important that artists love to come to the studio and choose to record their music there. Every client is unique and will want to do something different, so it is important that the music studio owner recognizes the most productive way to do things in each situation. Are you suited to be a music studio owner? Music studio owners have distinct personalities. They tend to be artistic individuals, which means they’re creative, intuitive, sensitive, articulate, and expressive. They are unstructured, original, nonconforming, and innovative. Some of them are also enterprising, meaning they’re adventurous, ambitious, assertive, extroverted, energetic, enthusiastic, confident, and optimistic. Does this sound like you? Take our free career test to find out if becoming a music studio owner is right for you.